Beer and tequila are the traditional alcoholic beverages of Mexico. But the wine region of Mexico’s Baja Peninsula is changing dramatically, receiving many high scores from the American wine press, and a new breed of winemaker there is dedicated to producing premium wine. But the Mexican wine industry faces uphill battles in two countries. Does it have the stamina to prevail? The majority of wine production is located in the Guadalupe Valley, a 30-minute drive east of Ensenada, on the Baja Peninsula. Baja accounts for over 90% of all wine in Mexico. There is some wine production on what is known as the “mainland,” meaning the entire country except for Baja. But it is the Guadalupe Valley which supports wine tourism, including lodgings and terrific restaurants like the highly-regarded Laja and the new Finca Altozano. A decade ago it was a different story. Wine production was dominated (and still is) by the larger wineries like L.A. Cetto, and Santo Tomas (which started grape growing in 1888) and smaller wineries were content selling cheap jug wine to an unimpressed Mexican market. Now Hacienda La Lomita, Adobe Guadalupe, Las Nubes, and Villa Montefiori are just four of over 70 wineries, only a handful of which are dedicated to crafting exceptional wine. “Americans have a very negative opinion of Mexican wine,” says Don Miller, owner of Adobe Guadalupe, the only American-owned winery in Baja. “But our renaissance is world-class. 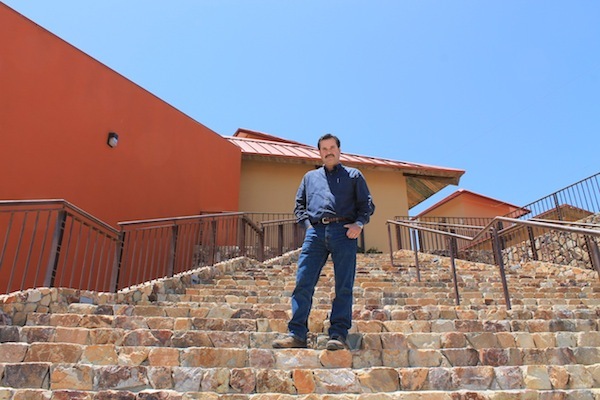 The Guadalupe Valley is like Napa to the Mexicans,” he says. If the analogy works, then like Napa, the Guadalupe Valley will face its own persistent problems. The View From the U.S.
My April 2013 visit showed a marked surge in quality and winemaking techniques over my previous visit in 2011. “Right now it’s about good wine at the right price, not $100 bottles,” says Victor Segura, co-owner of Las Nubes Winery. “Yes, there is a market for high-priced wine, but the value market is bigger.” Very few Americans will drop $80 for a Bordeaux blend from Baja but many of the wines I sampled were under $40 and represented significant bang for the buck. 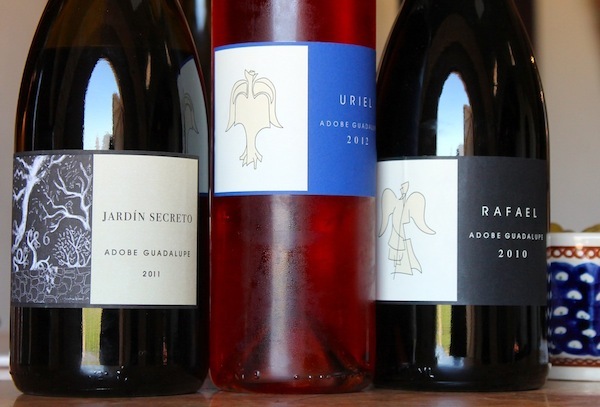 Adobe Guadalupe, Villa Montefiori and Hacienda La Lomita, for example, all export about 2% of their production to California retailers and some restaurants. “It’s more of a hobby to export to the U.S. because we can sell all our wine currently in Mexico City,” says La Lomita owner Fernando Perez Castro. But Castro understands the necessity of securing a future niche in the American market, as does Las Nubes, which will begin exporting wine in late 2013. The border states – California, Arizona and New Mexico and to a lesser degree, Texas – provide the bulk of visitors to the emerging wine region, but the majority come from California, where the drive to the Guadalupe Valley is less than two hours from San Diego. But visitors from the Golden State run into a thorny legal issue. California residents cannot cross the border back to the U.S with more than one liter of wine every 31 days, according to the California Department of Alcohol Beverage Control, whereas non-California residents can cross the border with up to five cases. The reason? It all goes back to the 1994 North American Free Trade Agreement and pressure from San Diego area distributors concerned cheap Mexican wine would flood the market. But that’s nothing compared to how punitive Mexico is to its own industry. Inside Baja there are a slew of issues confronting the wine industry: water, clonal selection, salinity, taxes, lack of infrastructure, and aggressive land development. 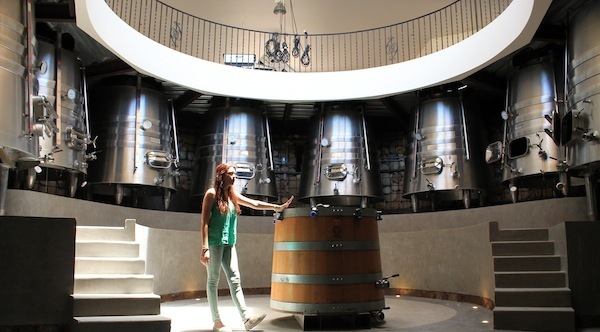 La Lomita and its modern holistic tasting room reflect the positive changes underway in Baja. A three-story gravity fed open-air facility perched on a barren hill, this winery uses native yeasts and estate fruit to craft beautiful wines including Pagano, a Grenache from 55-year-old vines. Villa Montefiori’s focus on estate-grown Italian varieties, using rootstock from France and Italy, is located six miles from the ocean at 1,300 feet. There they have 12 varieties in the ground, including nebbiolo, barbera and tempranillo. Las Nubes and Adobe Guadalupe are crafting smooth and balanced Rhone and Bordeaux-style wines. But even with compelling Baja wines taxes for wineries in Mexico are as high as 40%. There is little research of clonal rootstock and how it performs at the university or state level. Real estate development is beginning to drive up land prices. To winemakers in Baja it’s still very much a Wild West vibe. “At this moment in the Guadalupe Valley there are no rules, so we can plant whatever we want,” Victor Segura tells me. “Maybe in 20 years we’ll know what excels in this region.” But two decades hence might force the Baja wine industry into a constant state of playing catch-up unless they can compete now. Regardless, competition is not the elephant in the room. It is water. What little water that does exist is subject to salinity, which was evidenced in some of the wines I tasted. Don Miller told me he ripped out his syrah because the briny water killed it, then replanted using rootstock resistant to the salt. “The water we do get is rain water which comes from underground streams, deposits some into wells, but very little is captured and it flows to the ocean.” There is no capture rate, no aquifers and no money to build reservoirs. And the average of 8-10 inches of annual rainfall is more valuable than gold. Of necessity, many wineries and farms are reverting to dry farming. An additional hurdle is that there are no viable sources to obtain winemaking tools like pumps, hoses and barrels. Everything must therefore everything be imported, making wine expensive to a beer and tequila culture used to cheap booze. Americans visiting the Guadalupe Valley must contend with poor winery signage and in many cases hideous dirt roads guaranteed to strain the axle on your car. It’s peculiar, therefore, that situated in mid-valley is a new, $4 million (US) wine museum. I asked everyone I visited if that money could have been better spent on addressing the real issues in the Valley. No one wanted to speak about it on the record, but the frustration was clearly evident. The museum was a political trophy but it did little for the pressing economic needs. “We want this to truly become one of most visited regions of Mexico,” President Calderón said during the inauguration of the museum in summer 2012. But Mexico’s president completely missed the point. Instead of providing tax credits, water infrastructure or scientific study to build up the fledgling industry, Calderón spent money on a shiny building. In spite of the frustration, the potential of Baja wine is impressive. Segura sums it up as he surveys the Valley from his modern stone winery perched on the hillside, looking across first leaf vines, his own field of dreams. “If you build it they will come,” he says. Nice article, a lot of misinformation… but nice non the less. Here is the thing, first of all, there has been a lot of research done on the Guadalupe Valley, regarding rootstock, clones, water use, vine stress and aquifers in general, should you care to know about them visit INIFAP or CICESE both are well known research entities. Sure there is not enough water when your well is only 90 ft deep, go deeper and water you will find, the problem persist on having water rights, they are all given and no new ones can be given out. There is not enough money to build a whole valley reservoirs, but since you visited Las Nubes, you could not possibly missed the reservoir they have, we have a 5 acre reservoir as well in the Guadalupe Valley and another in Ojos Negros (that is another Valley to grow grapes, ill get to that latter) that holds 6.5 million liters of water, so it can be done, people should not wait for the government to make changes. If you had only visited other wineries you would have found that people are doing their own research regarding rootstocks, clones, irrigation stress, moisture capture, etc. some of us go as far as making collaborations with the University and having consultants from other places in the world, its always good to have second opinions. Its just a matter of doing the correct research, that I am well aware that not everybody does. Now if you place a winery just taking account the beauty of the land, you are going to have a bad time. Picking a place to plant a vineyard is no easy task, and should not be taken lightly, any respectable winemaker or vineyard manager will tell you that. The problem is that not everybody does the research as it should be done. People buy land and build wineries, plant vineyards and then realize that the site has no water. Which brings me to Ojos Negros Valley, since, like I mentioned, water rights are all gone in Guadalupe Valley, instead of insisting on planting here, people should go find other valleys in the surrounding areas, such as Valle de San Vicente, Santo Tomas, Las Palmas, and Ojos Negros. These are valleys that have plenty of land and plenty of water, there you can find some of the best fruit aroundd. Sure, The Gueadalupe Valley is now what Napa was 30-40 years ago, but the valleys mentioned should be taken as what Sonoma, Alexander, Anderson Valley was also 30-40 years ago, and look how good they did. Sure that the market is still dominated by the big guys like LA Cetto, Santo Tomas, Domecq, etc, but the first boutique winery came along in 1988, the ones you mentioned came late in the game, as they are fairly new. Ask the old one in the game and they will tell you a different story, there has been a Fine Wine production going on since 1988 in Mexico, sure not a lot was exported since all of the production is consumed within our country, but dig into Wine Contests within the US and Europe and you will find that mexican wine has been present and winning medals for a long time. Regarding equipment and supplies, yes, there are not a lot of local distributors, but we are really close to the border and have no problem getting them here. Most of the equipment is, as you know, european, mainly italian, french and german. So we have the same issues getting the equipment here as wineries in the US, and by that I mean we have no problem. Regarding the Wine Museum… well there is not much to say, it was built by the State Gov’t its a nice attraction, but as you mentioned money should have been better spent. Regarding your car axle… where did you go??? the main road is paved, and most of the dirt roads are really well taken care of. Unless you are driving a lowrider or a super sport car, you should be fine. I hope you come back soon, as you mentioned there are a lot of changes going on, wines are getting better and the Guadalupe Valley is getting more and more popular. And we are looking into a brighter future! Thanks for taking the time to write about us. Salud! Wine is, or has taken off in Mexico. Its an exciting thing to see and even more exciting to be part of it. As the industry is practically in diapers, specially consumers, there is a lot of mentality from both consumers and industry that more expensive means better quality. That’s not always the case, but I see it a lot. Add to that the stupid 40% tax, and you wonder what is the government doing when they say they are supporting the industry. As always, government officials in Mexico only look after their own interests. I think this is the main issue to get Mexicans to drink more wine. Within the industry Baja is “the place to be” in terms of its popularity, but it has a lot of challenges as you pointed out, to grow quality grapes. Anyone doing a bit of research and with a long term view, wouldn’t plant grapes there any more, unless you find a spot with really good water quality. The water and salinity issues are real. Additionally land has gotten very expensive. It almost costs the same to buy land in Priorat with vines, than land in Baja, with no vines, and no infrastructure. No wonder some Mexicans decided to buy vineyards in France and start making wine there! There are other areas, specially Parras, Coahuila, which have a lot of potential, and a lot less issues. Appreciate the comments. Baja is turning pout some wonderful wines as noted in my article and I encourage people to visit and see first hand. Unfortunately, the government is not helping – similar to some lesser issues with various wine regions here in the U.S. Wine regions can be the jewels of any state (Virginia for example is supportive of their wine industry from a legislative standpoint) but not everyone understands the balance of tourism, land development (think Napa) and long term economic health. Great article and agree with Israel, water rights. Also, with over 130 labels of wine from Mexico available in the US (we are the importers and DTC distributors), you might find different opinions as most of the wines are not mineral in anyway. Just because some wineries have not done their right job of water extraction because of not holding the right “rights” , many others have been geting for years a bad wrap. We carry most of the wines you mention in the US. Thanks again for this great article, and watch out, because we are here to stay. I like your comment Marvin, Baja wines are coming onto a bigger stage. It all depends however if they are truly ready for their close-up.